This postapocalyptic YA novel is a fast-paced, fascinating slam dunk of a book. 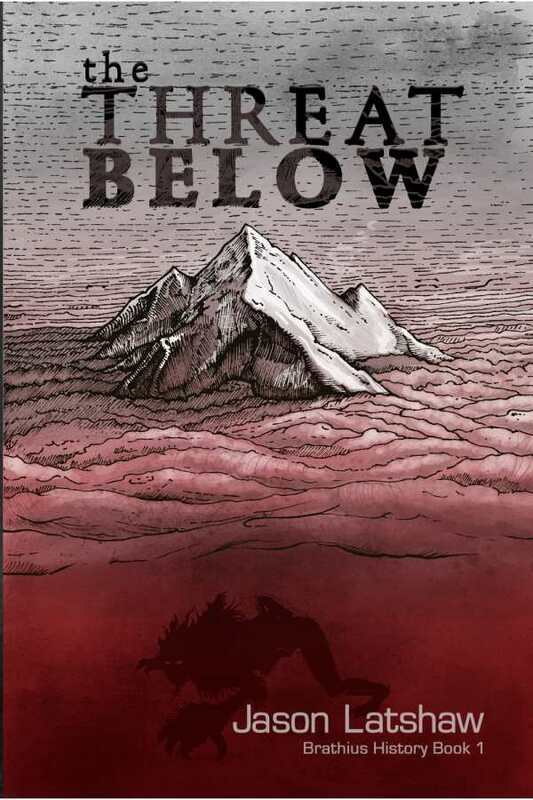 The Threat Below, by Jason Latshaw, is a YA science fiction novel built expertly upon genre basics. The result is a fast-paced, mind-expanding tale of postapocalyptic humanity and truth—and the survival of both. Latshaw’s world centers on Mountaintop and its postapocalyptic population of the last of humanity. The story focuses on Icelyn, a daughter of the privileged Cognate class, and her best friend, Adorane, born into the Veritas (or worker) class. Their friendship is quickly threatened when Adorane leads Icelyn past Mountaintop’s protective wall, where they discover a friend’s dead body. This event is the turning point for both teens, as everything that had been planned for them by their parents and their society starts to unravel. The care and detail with which each character is presented gives them a depth and breadth expected from more experienced writers. What might be termed the typical elements of a YA novel (budding romance, problems with parents and school, best friend relationships, etc.) have been simply and elegantly formed into matters of grave importance by Latshaw’s confident, determined, and well-developed writing voice. The characterization style Latshaw employs is distinctly important to the kinds of life existing further down the mountain. What “the threat below” truly is, and what Icelyn and Adorane are taught it is, mirrors the intellectual sea change that often occurs when high school students move on to college. The nature of “the threat below” is an outstanding metaphor for that point in life when everything you thought you knew turns out to be wrong. The postapocalyptic setting is initially quieter and more subtle than might be expected based on the genre’s prior examples, particularly the film versions. Such a beginning is the perfect foil for how this novel expands with each page, in ways physical, emotional, and intellectual. With a screenwriting MFA from UCLA and some decidedly unusual life experiences, Latshaw has crafted a YA novel and series whose potential, in this first book, seems limitless. Given his educational background, Latshaw may already see the story as a film; the novel certainly lends itself to adaptation for the big screen. Latshaw delivers a solid, fascinating read that should garner fans fast. The Threat Below is, to be blunt, a slam dunk.